Social media is probably one of the most common tools a brand uses to engage with its customers. In the past, it was as simple as buying a domain and setting up a website to get your brand out to the masses online. Now, having a social media strategy is an integral prog of any brands ongoing marketing strategy. In fact, in the UK alone, marketers will spend £3.3 billion ($4.2 billion) on social network advertising by the end of 2018 – a 24% increase over 2017. Furthermore, social media ad spend in the UK is predicted to surpass TV ad spend by 2020 accoding to eMarketer. Like anything else created by humans for humans, social media has its strengths and weaknesses. At best, it has been praised for facilitating global communications, bringing down governments in the Arab Spring and making big business more accountable to its customer base. At worst, it is accused of being addictive, a poor replacement for real human interaction, a conduit for bullying and is alleged to have influenced the outcome of the 2016 United States presidential election. Advocates for social media, in particular, today’s youth, will argue that social news is more immediate and has been unsullied by editorial bias designed to meet a pre-set agenda, for instance, The Guardian’s left-wing stance. However, proponents for standard news sites will argue that a single expert is better placed to write the story and has the training and contacts to ensure that it is most importantly true and provide a wider context for it. What is interesting, and is most likely the solution, is how both types of sites borrow from one another to mutual benefit. Blog posts, tweets, Facebook updates and all sorts of other online social interaction are often kicked off by news stories. Meanwhile, the decision by newspapers to allow site visitors to comment at the end of stories is a good example of how formerly static websites are borrowing social tools to improve their content. Social media provides excellent opportunities for businesses to market themselves, sell products and build and maintain a positive reputation. In fact, at least 63% of marketers plan on increasing their use of Facebook and YouTube. Facebook seems to dominate in terms of paid ads as 86% of social marketers regularly use Facebook ads. Even platforms like Snapchat are gaining traction with businesses while still finding its footing in the social media landscape. While only 5% of marketers are using the platform, 16% plan on increasing their Snapchat activities, and 28% of marketers want to learn more about the platform. Essentially, customers are there to be nurtured and business are eager to engage with them through the channels consumers use the most. That being said, social media was met with a whirlwind of controversy in 2017. Google faced a major backlash from advertisers after brands found their ads were placed on inappropriate YouTube videos. Some content even included extremist views and inappropriate videos aimed at children. 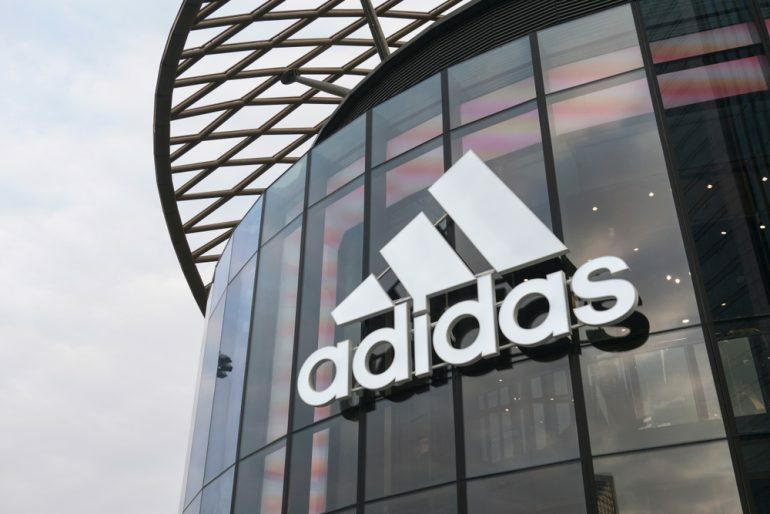 Brands such as Adidas, Mars, Walmart and Johnson & Johnson either paused spending or pulled out altogether from advertising on Youtube and its broader Display Network. Facebook bore the brunt of accusations when it allowed fack accounts, run by Russian bots, to promote fake news stories on its platform during the 2016 US presidential elections. Facebook was also fined for data breaches in the recent Cambridge Analytica scandal during the 2016 UK Brexit campaign. With the rise of fake news and the over saturation of brand ads on Facebook’s News Feed, the social media network recently changed its News Feed algorithm so users see fewer posts from businesses to encourage more meaningful interactions between people. Despite this, there are still ways in which businesses can create great quality content and reach consumers through meaningful interactions. Before developing a social media strategy there is one golden rule businesses must maintain – remember you are entering a conversation. That is how the customer will view it and if they feel they are not being listened to, it will tarnish your efforts immediately. Providing the right tone is used, companies can benefit in a number of different ways. Similarly, companies need to consider the voice they are using when in conversation. If a brand is aimed at a particular age group then they need to be spoken to in a manner familiar to them. Courtesy is also important and an apology can often turn around a bad situation – even if the company doesn’t feel it is entirely warranted. Product placement via celebrities or social media influencers is commonplace with many using Instagram to post about free gifts they are sent. Not only does this get the product out to a wider audience but by associating it with the right influencer, you are buying into their brand too. Historically, some influencers would charge for this service while others would provide a service for free in exchange for exposure. However, the influencer market has become so popular over the last few years that many influencers are demanding to pay for promoting a brands product or service. It’s also wise for businesses to stay clear of overtly obvious marketing attempts as consumers – millennials in particular – can be increasingly resistant to blatant product placements. It is also worth monitoring social media usage as it is an excellent way of discovering what people are saying about your brand. If a customer is angry then they often vent their frustrations on social media. A business with effective social media monitoring can pick up on this and put the situation right through a conversation with the customer – especially if you are targeting international markets. Similarly, unfounded rumours that regularly circulate on the internet can be picked up on and corrected. Finally, when dealing with crisis management social media is one of the most effective ways possible of discovering how customers are being impacted by the problem, allowing a company to tailor its response correctly. A social media strategy is vital for connecting with customers and marketing your products. In order for your strategy to truly be successful, it’s essential to appoint an employee with the right expertise to allocate their time to manage and maintain an overall social media strategy for your business. Despite having only launched at the turn of the millennium, mobile social networking is a rapidly advancing technology and is already in its fourth generation. The benefits of social media usage via a mobile channel, either a tablet or a phone, is that any interaction can be both time and location sensitive. This coupled with many people’s desire to stay connected means social media companies including Twitter and Facebook have rushed in to provide services tailored towards the new channels and are profiting accordingly. VentureBeat reported that Facebook surpassed 1 billion mobile-only monthly users in November 2016. Furthermore, mobile-only social platforms are now just as popular as platforms such as Facebook and Twitter – which were initially created for desktop users in mind. Image messaging and sharing app Snapchat has over 300 million and active users, while Instagram (now owned by Facebook) has over 600 million and has launched an advertising platform designed to help brands build awareness and generate revenue. 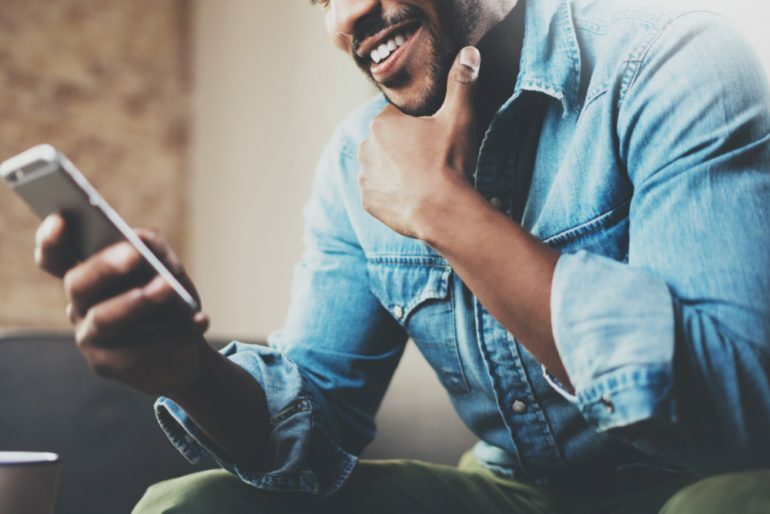 As global mobile traffic has now surpassed desktop, it imperative for businesses always remember that their band is always in the palm of their customer’s hands, wherever their location. It’s predicted that 2.46 billion of the world’s population will use social media in 2018 and as many as 3.02 billion by 2021, the growth in the market is phenomenal. What’s more, much of the growth will be in Asia-Pacific, the Middle East and Africa – rapidly developing regions with key markets to target. Although a social media strategy is vital for any company with global ambitions, it is not the case that they can adopt a one-size-fits-all strategy. For example, with the growth in mobile internet traffic, social media usage now covers popular messaging apps including WhatsApp and Facebook Messenger. In China, WeChat is the most popular social platform – which encompasses messaging, commerce and mobile payments – and boasts a massive 938 million monthly active users. 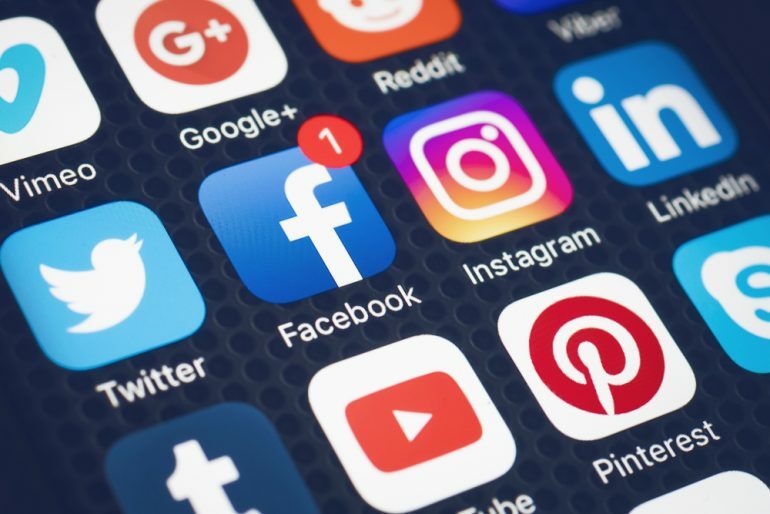 Businesses wishing to market their products or services are encouraged to research thoroughly which social platforms are popular in their target market before choosing platforms to add to their social media strategy. Don’t forget, social media is a simple tool for communication and like any language, the rules of its use can differ hugely depending on where you are in the world. The most important rule is to identify your audience. Once you know who they are, you need to find out which social media sites are popular with them and use them accordingly. Understanding your audience and how they communicate on each social media platform, in each market, will be the linchpin to how you engage with your international customers online. Learning their social media habits and the language they use online may include seeking advice from a translator who is more likely to understand slang and idioms that regularly occurs. Any respectable native speaking employee, locally-based public relations company or language service provider will be able to advise you on this and more. Consider seeking one of the aformentioned parties before planning locally-based campaigns via social media. It’s not as simple as taking content that works in the West, translating it and posting it on a foreign social media website. Issues of transcreation, localisation of content and even taking into account how different languages read from right to left look online must all be taken into account. With over 738 million internet users, China remains a key market for businesses wishing to expand. This vast figure represents 53.2% of China’s population which is almost on par with Europe’s population of 743 million. Furthermore, 95% of internet users use the web on a mobile, which means over half of China’s 1.4 billion population access the internet with a mobile device. WeChat, as previously mentioned, is China’s most popular social media platform largely due to its commerce functionality. Many international brands including Burberry, Estée Lauder and British Airways engage with Chinese consumers using the messaging platform in order to market their products and services to its 963 million monthly active users. It’s this mixture of messaging and eCommerce which makes the messaging app prime real estate for brands to engage with Chinese users. The messaging app can also be used to order takeaway, a taxi and even pay bills. It’s no wonder why the popular social media app is considered a contributing factor to mobile commerce becoming an instinctive and natural experience in the Chinese market. QQ (including Qzone), most popular with teenagers, has nearly 860 million active users. The main adult social media networking platform is RenRen, the Chinese equivalent to Facebook, has over 240 million active users. Sina Weibo is the country’s equivalent of Twitter, although with more functionality, with 340 million monthly active users. While simplified Mandarin is the language most commonly used on it, an English version has also been developed. International brands wishing to break into this massive consumer base are encouraged to conduct in-depth research into the needs, desires and expectations of the local market including product development and localised marketing campaigns when engaging with Chinese social media users. More than 33 million French people use Facebook, ranking France third in Europe in terms of Facebook users (just behind the UK and Turkey), and ninth in the world. In June 2017, 51% of the population and 59% of French Internet users had a Facebook account. Among French Facebook users, 51.5% are female, and the most active age group as of 2016 is 15-24 – of these users, 75.4% visit Facebook every day or nearly every day. However, Facebook in France is used in increasing numbers by older generations. Twitter is the 11th most visited website in France and the fifth largest user base on Twitter in the world and accounts for about 3.4% of the Twitter population. However, French usage of Twitter has decreased slightly from 2016 to 2017, with 12.3% of respondents saying they ‘regularly’ use Twitter in 2016 – a number which reduced to 11.6% in 2017. In 2017, YouTube had very little competition from other video sites in France. Even with the likes of France-based video streaming site Dailymotion, the daily traffic to the site remains high. The overall number of social network users in France is estimated to be 38 million monthly active users in 2017 according to Statista. In September of 2017, there were approximately 362 million monthly visits to the site; about 11% of that traffic came from France. YouTube is the most popular video platform in France and is the second most visited website in the country after Google.fr. Viadeo is a professional social network that was founded in France in 2004. Among its 65 million members across the world, 10 million are French. Like most professional social networks, Viadeo lets members create and manage their own professional profile, maintain a list of business partners allowing them to stay in touch, to find jobs, and to advertise job opportunities. Viadeo has garnered a smaller audience than its counterpart LinkedIn, and in September of 2017, the platform had about 8.2 million monthly visitors, 69% of which came from France. Viadeo says it hopes to focus primarily on its home market of France as well as other French-speaking countries and has withdrawn its services from some countries in order to focus these efforts. LinkedIn is the preferred professional networking site in France. In November 2012, it managed to overtake Viadeo’s audience in France for the first time. With 225 million registered members across the world, among 11 million of which are French, LinkedIn has become the most visited French recruitment website. Research shows that Indian internet users spend the majority of their time online on social media. Facebook is the dominant social network in India and has the largest base of Facebook users in the world at 241 million, followed closely by the United States at 240 million. Despite this impressive figure in one of the world’s most populous countries, social media penetration is still considerably low compared to Western markets. It estimated that 19% of India’s population use Facebook compared to 73% in the US. This poses a massive opportunity for Facebook to garner new users in the future. The number of Twitter users in India has expanded rapidly in recent years. Currently, the platform has 23.2 million active monthly users. However, Twitter accounts for only 17% of all Indian social network usage. Despite India’s low social media penetration rate, the number of social media used in the country is estimated to grow from 226 million users in 2018 to over 370 million in 2022. Video consumption in India is also on the rise. YouTube is the second most visited site in India according to Alexa and is preceded only by Google.co.in in total traffic. As a brand, it would be wise to consider which channels your customers use the most and analyse how they engage with brands before you target them. The largest Russian Social Media network and the most visited site in Russia is the domestic Facebook rival Vkontakte (ВКонтакте), also known as VK. The site, which also has an English language version, was launched in 2006 and currently has around 33 million unique visitors per day. By September of 2017, VK had 447.4 million users, around 63% of whom were based in Russia. In September of 2014, the company was bought by Mail.ru. While very popular amongst teenagers, it’s been claimed that the site gets a lot of spam and has some issues with privacy as some of its user details are revealed in search results. Users can use the site to share files and the network is frequently sued for copyright infringement due to the quantity of pirated music and videos uploaded on the site. Users can also log in to VK to play games, and the platform has recently released a mobile in-app gaming option, Direct Games. It’s estimated that 47% of Russians had an active account on any social media network in 2017. Moi Mir was launched in 2007, and in 2010 it acquired a stake in gaming giant Zynga and social discount website Groupon. China’s Tencent bought a stake in the firm in 2010. Moi Mir, introduced a VIP status service in February 2011, which provides users with special features such as being invisible when online, being highlighted as a VIP and having dedicated technical support. Classmate reunion site, Odnoklassniki (OK.ru), was set up in 2016. While VK tends to attract a younger audience (18-34), OK.ru users consist of mainly older users. Average monthly users reached 31.5 million in August of 2016, and in total, the site has around 200 million active accounts as of 2017. Around 37% of OK.ru users come from outside Russia, mainly from former Soviet Union nations such as Uzbekistan, Kyrgyzstan, and Georgia. However, as of May of 2017, in Ukraine, formerly a large source of OK.ru users, has blocked both VK and OK.ru as part of the sanctions against Russian companies, an action which has been condemned by Reporters Without Borders as a violation of the Ukrainian people’s right to freedom of information and expression. Odnoklassniki introduced a music service and video chat functionality in June 2011 and launched an events feature later that year. In December 2011, it made user profiles searchable by search engines and enhanced profile privacy settings. At the same time, Mail.ru made it possible for users to link profiles and cross-post between Moi Mir and OK.ru. The English language version was launched in June 2012. Facebook has decreased in popularity significantly since 2012. As of June 2017, approximately 12 million Russians use Facebook, which amounts to roughly 12% of the population, or 9% of internet users. 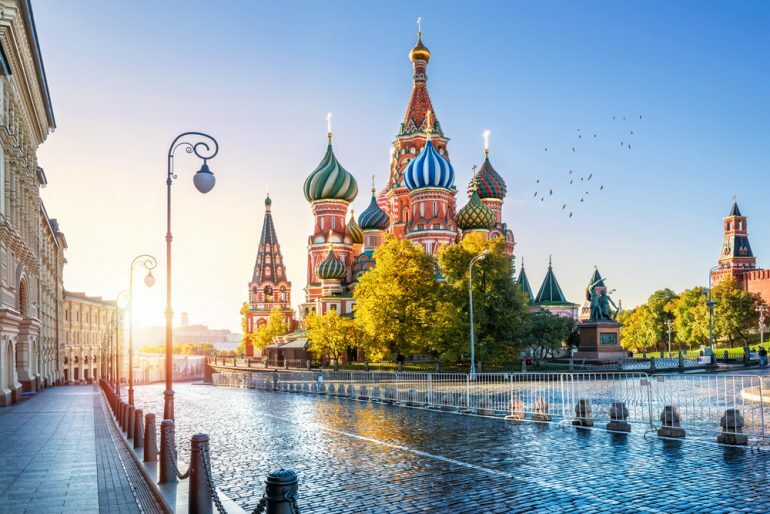 This decline in popularity is likely due to regular threats to block the platform or censor content from the Russian regulatory agency Roskomnadzor. The government has stated that it will block Facebook entirely in 2018 if it continues to refuse to store personal data of Russian users on local servers. In Russia, Twitter is the most engaged platform; on average, there were about 120 posts per author. In July 2011, Yandex reported that the Russian speaking audience on Twitter had reached the 1 million mark, by February 2012 this figure had reached 1.68 million (it no doubt helped that Twitter introduced Russian language functionality in April 2011). As of 2016, Twitter had about 8.5 million Russian visitors per month. YouTube is the third most visited site in Russia as well as the most visited video site in the market. The Russian government periodically threatens to block access to YouTube, and in 2012 threatened to bar access in response to the controversial American video seen as mocking the Prophet Mohammed. In 2017, YouTube has become a platform for anti-government demonstrations, sparked in part by opposition leader and anti-corruption vlogger Alexei Navalny. Google Plus has approximately 43.2 million users; over 75% are male and 47% are aged 18 to 24. Users are more likely to be students, and most reside in Moscow. LinkedIn was less popular in Russia but continued to have a user base of approximately 6 million until November 2016, when LinkedIn was blocked by the Russian government due to its refusal to store user data on local servers. In 2011, Facebook in Brazil had a 192% increase in unique visitors from December of the previous year. Currently, Brazil has the third largest number of Facebook users with around 139 million active accounts. Facebook users in Brazil are mainly concentrated in two of the major cities, with over 34% from São Paulo and over 12% from Rio de Janeiro. The majority of users are between the ages of 15 and 24. Google+ has been gaining users in the country. Google hosted Brazil’s first official Hangout in November 2011, and since then Brazil has become the nation with the third highest number of Google+ users. Datadial estimates that nearly 70% of Brazil’s Google+ users are those in the 18 to 24 age range. Brazil’s Google+ user base also follows the international trend of being majority-male. Twitter has around 18 million users in Brazil, which is the country with the sixth highest user base worldwide (behind the USA, India, Indonesia, Japan and China). In Brazil, Facebook is one of the most popular social media apps. A whopping 86% of Brazilians said they used the app in a 2017 survey. Twitter is widely used by journalists to distribute news, and its popularity has been cited as a major factor in the rise of hacktivism in Brazil. There have also been various Twitter scandals: the Brazilian government sued Twitter for hosting accounts that warned of speed camera traps. In another instance, a law student was jailed for 17 months after tweeting that everyone in the north of the country (a primarily poor area) should be killed for voting for the current President. YouTube is another highly popular platform, and Brazil is currently its sixth largest market. It reaches 63% of the country’s population and 44% of internet users watch a YouTube video every day. WhatsApp also proves to be a popular app used by Brazilians to communicate with each other. According to Statista, when asked about which social network apps they used, 91% of respondents answered that they used WhatsApp. Business networking site LinkedIn launched its Portuguese site in 2010 and opened its São Paulo office in late 2011, by which time it had around 6 million users in Brazil. Membership grew 91.6% in the year after launching in Brazil’s native language. LinkedIn currently has the third largest user base in Brazil, after the US and India with over 20 million users. Businesses need to embrace social media if they want to engage customers globally. Businesses should encourage their staff to become involved in social media by blogging and sharing their ideas and opinions online. If your social media strategy is not working, you need to revise what you are saying not your use of the tool itself. All conversations are a two-way thing. If consumers think you are using it to hector them, or you are not listening, they will punish you. Using it will pay dividends for your brand in the future as social media platforms continue to evolve.